Hi friends! Garlic flavored spinach leaves cooked with cottage cheese / Paneer. Wash the spinach very well, finely chop and keep aside. Cut Paneer/ Cottage cheese into small cubes, keep aside. Heat the oil in a wok / kadahi and add the asafetida. Fry for few seconds till pink in colour. Add chopped onions to the asafetida seasoning. Saute till translucent, about three to four minutes. Add crushed garlic, saute for few minutes more. Add in the spinach salt , red chili powder and baking soda . Cover and cook on a slow flame for five minutes and add paneer/ cottage cheese pieces. Cook for ten minutes on low flame till spinach is well blended with the cottage cheese. Serve hot with chapattis or any other Indian breads. Spinach is an excellent food loaded with tons of nutrients and a low calorie package. Greens like spinach are important for skin and hair, bone health, and provide protein, iron, vitamins and minerals. As per studies the possible health benefits of consuming spinach include improving blood glucose control in diabetics, lowering the risk of cancer, lowering blood pressure, improving bone health, lowering the risk of developing asthma and more. Cottage cheese provides many health benefits, including a high protein content, as well as significant calcium, phosphorus, and potassium contents, and it can be used for weight management. Reduced Risk of Breast Cancer: The calcium and vitamin D found in dairy products, especially in cottage cheese, reduces the risk of breast cancer. Rich in Protein: One of the biggest benefits of cottage cheese is the high amount of casein protein found in it. It is believed that cow’s milk contains the highest amount of casein protein among various milks. The amount of protein contained in cottage cheese is ideal for vegetarians in supplying them with the required amount of daily protein. Cottage cheese does not require any amount of cooking and it can be consumed directly. Best Foods for Pregnant Women: Cottage cheese is recommended for pregnant women along with athletes due to various essential nutrients found in it. Rich Source of B-Complex Vitamins: B-complex vitamins found in cottage cheese are helpful in various metabolic activities in our bodies. Some of them include vitamin B12, riboflavin, pantothenic acid, thiamin, niacin, and folate. -Vitamin B12 is needed for proper brain functioning and helps in absorbing iron. -Riboflavin helps in converting carbohydrates into energy. -Pantothenic Acid acts as a synthesizer that helps in forming proteins, fats, carbohydrates, and amino acids in our body. -Thiamin helps in converting sugars into energy in the pyruvate dehydrogenase system. -Niacin, on the other hand plays an important role in digestion, energy production, and cholesterol reduction. -Folate helps in fetal development in pregnant women, helps in producing red blood cells and keeps the heart healthy. Strengthens Bones: Calcium is one of the major elements associated with milk and their products. Some of the benefits of calcium-rich foods include bone strengthening and weight loss. Heart-Friendly and Maintains Blood Sugar Levels: Cottage cheese is a good source of magnesium. In the human body, most of the magnesium is concentrated in our bones. Magnesium also acts as a catalyst, promotes biochemical reactions, activates various enzymes in the body, maintains muscle and nerve functioning, and supports the immune system. It helps in maintaining blood sugar levels and prevents heart attacks, constipation, psychiatric disorders, migraine, and collagen. Prevents Strokes and Controls Anxiety: Apart from other nutrients, cottage cheese contains potassium. Potassium acts as a fluid-balancing element in the body and is an important component in neural activities of the muscle and brain. It also relieves muscle cramps. Intake of potassium on a regular basis prevents the risk of getting brain stroke, since it lowers blood pressure and the contraction of vessels. It is also helpful in decreasing stress levels and anxiety. Potassium, along with sodium, act as electrolytes, but potassium does not have the side effects of sodium such as increased blood pressure and cardiovascular stress. Improves Biological Functions: Zinc found in cottage cheese is about 4% of the daily recommended value. In the human body, it is found in the brain, muscles, bones, kidneys, liver, prostate, and eyes. It helps in the metabolism of DNA and RNA. Zinc is one of the trace elements whose presence in our body helps in improving the immune system, digestion, diabetes control, fights stress and anxiety, cures night blindness, improves ocular health, prevents appetite loss, prevents prostate disorder, fights various infections and also acts as an antioxidant. Improves Digestion: Cottage cheese contains phosphorous, which plays a major role in the formation of DNA and RNA. It is a major component in forming bones along with calcium. Phosphates also help in digestion, excretion, and in the production and extraction of energy in the cells. Antioxidant Properties: Selenium is a trace element found in cottage cheese. It is required in very small quantities, not more than 50 mcg to 70 mcg in adults. Selenium is useful as an antioxidant that protects cells and DNA from damage. It is also believed that an optimum intake of selenium-rich foods reduces the risk of prostate cancer. New study suggests that a diet rich in dairy products may slightly extend lives of people diagnosed with colon cancer. Salad– Add chopped/grated cottage cheese to salads such as green salads and tuna salads. Omelet– Add chopped cottage cheese and vegetables to the egg mixture for making a delicious omelet. 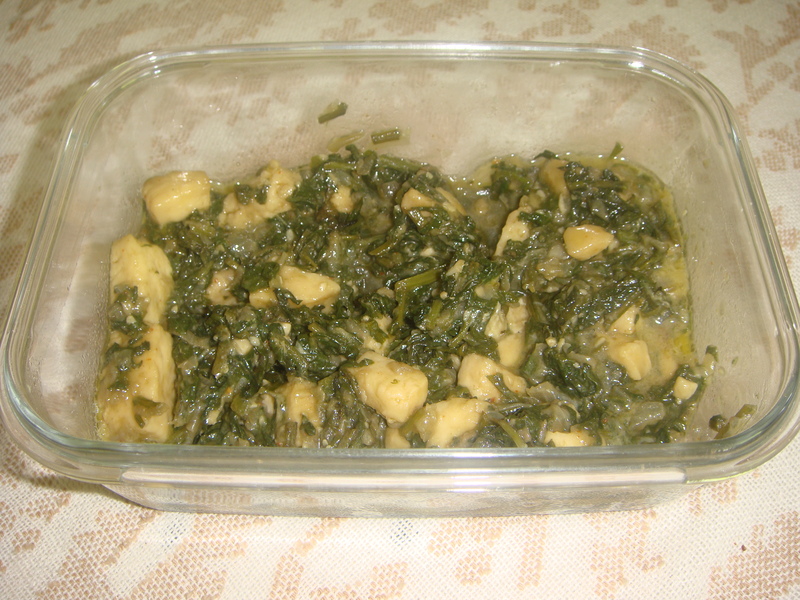 Curries/Stew– Cottage cheese can be used for making stew/curries, along with meat and vegetables.